Pet Assure offers an across-the-board 25% discount on all of your dog or cat’s vet bills at participating veterinarians. It can be used alone or in addition to your dog’s insurance. There’s no waiting period for Pet Assure (PA). The main selling point is that there are no exclusions; all pets are covered no matter their age, health or breed. However, a major drawback to Pet Assure is that it only covers a small portion of your pet’s bill. Should your dog or cat need an expensive procedure, you’re still likely to have a large vet bill, even after the 25% discount has been applied. So, read on to find out how the two products can be considered separately but may serve you better together. Insurance is meant to protect you against major unexpected expenses. For example, car insurance responds when you have an accident and there are thousands of dollars of damage to your car. Pet insurance protects you when your animal gets injured or becomes ill unexpectedly. These types of things can be extremely expensive. With Pet Assure, if your animal has an $8,000 surgery, you’re still out $6,000 because you only get a 25% discount; whereas with insurance, your vet bill is completely covered minus the deductible. 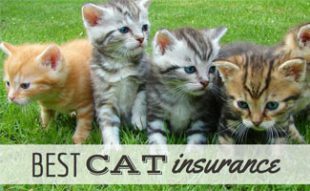 Pet Assure is cheaper than pet insurance at first glance, but if your dog or cat has a terrible accident or is diagnosed with a serious illness, you will likely have to fork over more money than you would with insurance. This downside might be one of the main reasons that they don’t have very many customers – yet (another possible reason is the company and this sort of product is fairly new). 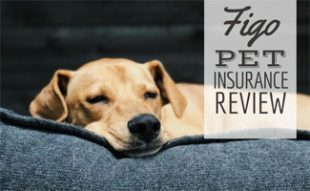 However, there are certain circumstances where Pet Assure might be a better option than dog insurance; for example, if your dog or cat has a preexisting condition, then insurance may not cover related cases. This is especially true if that condition is chronic and will require many vet visits over a long period of time. But asking whether you should get PetAssure or Pet Insurance is not really the right question. A better one is whether it makes sense to get them both: a 25% discount on all services with PA plus insurance in case of emergencies or serious illness. If you wish to stay with your existing vet or choose from all the vets in your town, you may be out of luck with Pet Assure. Pet insurance will reimburse you (minus your deductible) for covered expenses no matter which vet performs the diagnosis and treatment. However, with Pet Assure, you are limited to their “in-network” providers, so you may not be able to receive the discount at “your” vet. This is a very important consideration for those that have a close relationship with a particular veterinarian. Visit their PetAssure website to see if your veterinarian has a relationship with them. If not, you must change vets to get the discount. Then, you visit an “in-network” vet, disclose you are a Pet Assure customer and they discount their fees accordingly. It is also important to note that many new, less experienced or lesser known vets in the local market may join Pet Assure as a way to introduce themselves to new clients who otherwise may not choose them. This does not mean that the Pet Assure vets are not as good as the others in town but it may be worth doing research first to make sure you are comfortable with the provider who will care for your beloved animal. Also, some areas of the country do not have practicing vet for miles, so check on this for your location too before you sign up. 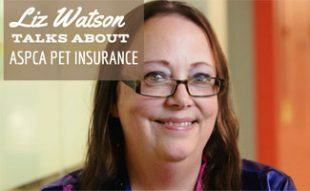 What Does Pet Assure Cover? Below are the different packages available through Pet Assure including their price. reptile or other small animal. Includes up to 4 pets of any kind. *24/7 Lost Pet Recovery Service – Each animal is given an ID tag with a toll-free number and an identification number on it. If someone finds your pet they can call the phone number and read the ID number to them so you get your pet back. Below is an example of how it might work, depending on which coverage you have. There is a $1,000 vet bill for an accident or illness. The customer pays a $750 unless some of the services provided aren’t discounted (the fee could be higher if the bill includes shots, blood work, etc.). You receive a $1,000 vet bill for the same accident or illness and you, the customer, receive a $750 bills (because of the PA 25% off discount at the “in-network vet”). The pet insurance carrier would then apply the deductible (let’s say $100 per your policy) once you submit your claim and then they would reimburse you the percentage outlined in your policy (let’s say 100% for easy math). In this case, the customer only pays their deductible of $100 for the original $1,000 vet bill. $250 was discounted at the vet’s office by PA and the remaining $650 is reimbursed by insurance. I spoke with Dylan via the live chat feature on they company’s website. I have never experienced such great customer support. He wasn’t being pushy or trying to sell me the entire time. He was polite and answered all of my questions. He never once asked me, “Would you like me to sign you up for a plan?” which is something that I always get asked no matter what type of company’s service I’m researching via live chat. It was refreshing. At one point I asked, “What’s the benefit for a vet to be in your network?” Dylan responded, “They get people to use their offices.” Simple as that. Pet Assure Or Insurance Or Both? Everything in our research for Pet Assure Reviews seems positive. 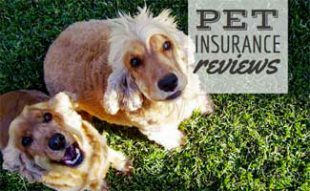 They’ve been in business since 1995 and they seem to have their act together but choosing PetAssure over pet insurance is risky. In case of an emergency or an unexpected illness, you’ll most likely end up paying a lot more out-of-pocket with PA. However, Pet Assure is an option to consider if you really can’t afford pet insurance. It can also be a good supplement if your insurance has a lot of exclusions. To learn more, read our best pet insurance review. Have you used this service? We’d love to hear about your experience. We chose a vet in their network already known for their low prices who also has a rabbit specialist. We did research the vets on their list. we have 4 cats, 1 dog and 1 dwarf rabbit so pet insurance would be too expensive, but for $16 a month to cover all the pets, it pays for itself. Pet Assure is a joke. The only vets that participate with them are grossly over-priced, be sure to check a few other vets around the immediate area before committing $10-$20 a month of your hard earned money (for Pet Assure) to end up at a vet that you would have never considered, that ends up charging you 3X more than the vet down the street. Not to mention that the vet can decide at any given time that anything on the Pet Assure website listed as qualifying they can decide not to discount at their own discretion and with blatant proof that there are multiple qualifying items not being discounted, Pet Assure will ultimately side with the vet and say that they don’t see them as having done anything wrong. This sham of an insurance is a disgrace. Take my advice and avoid it. Sounds like you chose the wrong vet(s). Pet Assure so far has been awesome for us. Much better than insurance and less expensive. Before we started it we found out our vet takes it which was awesome. I recommend this for everyone especially if you have multiple pets. Thanks for the super helpful review!